Giving gifts to our friends and loved ones during the holidays is not only fun, but it is a big part of enjoying the happy feelings that come with Christmastime. Even a small gift can show someone just how much you appreciate and care for them, and being able to see the delight on their faces when they receive it is so much fun! But gift-giving doesn’t have to be expensive or over-the-top to be meaningful. Often, the best gifts are small and unique little somethings that one can enjoy. That’s why I so enjoy giving gifts in a jar. Not only are jars such a practical container for gifts, but they can hold both eatable gifts as well as inedible items…and are pretty to look at, especially when decorated with some ribbon and a lovely little tag. Mason jar gifts…or gifts in any jar, really…are just perfect for teacher gifts, for co-workers, for friends, or for anyone that you want to give a little something to during the holiday season. They are also a great way to give presents when you are on a budget, as they can be put together very inexpensively. And the best part about gifts in a jar is that people usually like them so much better than a store-bought gift, because they are handmade and unique. If you’re looking for some ways to show your love and appreciate for someone this holiday season, why not try one of the following? Having an almost complete meal in the pantry can be a real lifesaver at times! This Country Bean Soup Mix from Savings Lifestyle is such a thoughtful way to give someone a nice dinner. This Santa’s Cookie Mix from Sugar, Spice and Glitter is a wonderful holiday treat for those who like to bake. For those who love some good barbecue, this Pork Rub Gift in a Jar makes the perfect present. 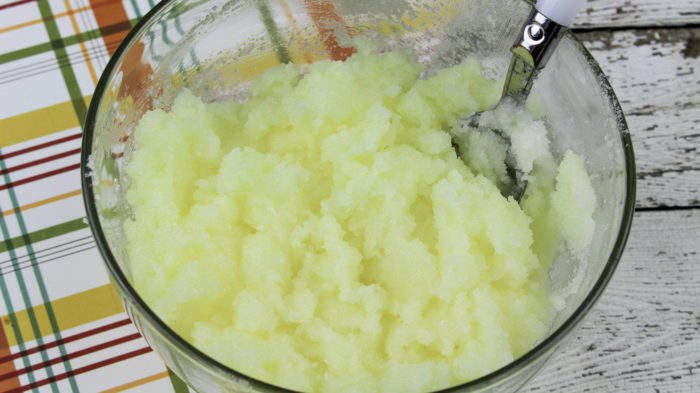 Give a spa-like experience this Christmas with some Peppermint Sugar Scrub by Cincy Shopper. Popcorn lovers will adore this cute little Popcorn Snowman Jar from Raising Whasians, especially if you fill it with their favorite snack! Cookies are such fun to bake on a cold winter day, and having this M&M Cookie Mix from A Cultivated Nest in the pantry will make your friends very happy! Chocolate chip cookie fans will appreciate this Chocolate Chip Cookie Mix from Melanie Cooks as a holiday gift. 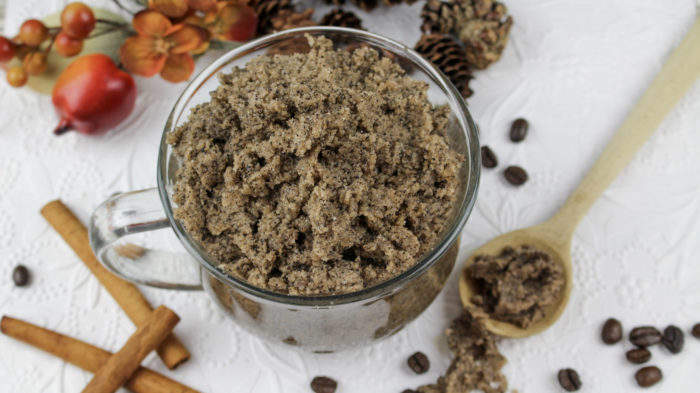 Give someone this Cinnamon Coffee Sugar Scrub for Christmas, and you’re giving them a spa-like experience every time they get into the shower! A unique twist on a cookie, this Cranberry White Chocolate Oatmeal Cookies in a Jar gift from Suburban Simplicity will make anyone’s day. This Holiday Trail Mix in a Jar by Thrifty Jinxy is great for family or friends that have a long road trip ahead of them…it’s something they can enjoy right away! If your friends or teachers love brownies, they will adore this Caramel Pecan Brownie Mix in a Jar from The Baking Fairy. Here’s another yummy Chocolate Chip Cookie in a Jar gift idea from Veena Azmanov that anyone will enjoy. Treat your kids’ teachers to a soothing bath with these homemade Peppermint Bath Salts in a jar from Suburban Simplicity. Lemon lovers will be excited to try this Lemon Basil Sugar Scrub in their next shower…it will give them soft skin and a boost to their mood! Give your family and friends something to up their hot cocoa game with this Bailey’s Hot Cocoa this Christmas! SO good on a cold winter day! The ladies in your life will just love this Pedi in a Jar gift from Mission to Save. She even has free printable gift tags for you to use! Know someone who likes a cocktail now and then? Then this Bar in a Jar from Major Hoff Takes a Wife is the perfect gift for them. These Reindeer Cookies in a Jar have so many yummy ingredients inside to help your friends make a delicious cookie for the holidays. Elf Christmas Mason Jar Gifts from Polka Dot Chair will bring on cuteness overload! A perfect gift for those who love all things elf. Pamper your favorite teacher with thisPeppermint Sugar Scrub. Comes with a free printable tag to add to the lid of your jars! Your friends and family can have a nice, hot meal using this Soup in a Jar Gift from Oh My Creative. Comes with free printable tags too! Here’s another yummy soup in a jar gift idea from Tatertots and Jello: Merry Minestrone Christmas Soup. Cookie lovers will adore this Mason Jar M & M Christmas Cookies gift, especially because of the beautiful (and free) printable tag that goes along with it! A favorite of mine when I was in college, this Homemade Hot Cocoa Mix with free printable gift tag is rich and delicious. A snowman jar full of mouthwatering white-chocolate-covered pretzels? Yes, please! My son would love this Snowman Mason Jar from Polka Dot Chair, since those are his favorite treats. This Lavender Bath Salt Gift in a Jar from Tatertots and Jello looks like a very high-end gift, but only uses a few inexpensive ingredients. Perfect for the ladies in your life! Have a friend that loves all things Christmas? 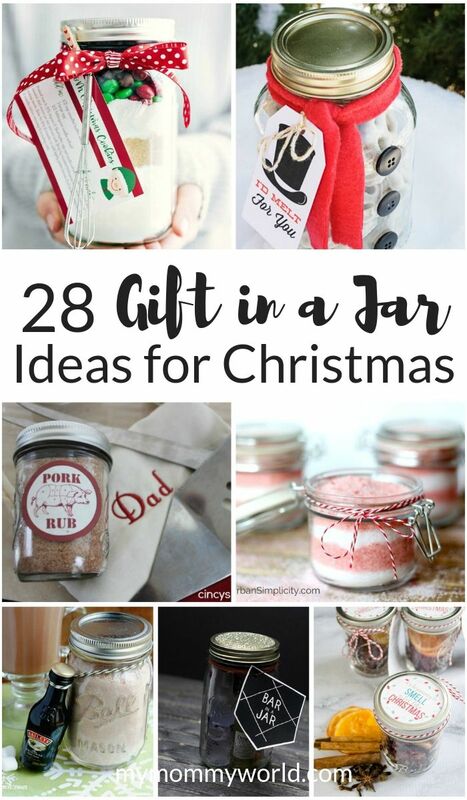 Any one of these Christmas Mason Jar Gift Ideas from Chelsea’s Messy Apron will fit the bill. Give your friends the gift of a delicious-smelling home with this Stovetop Potpourri from The Crafting Chicks. Need help with your Christmas planning? 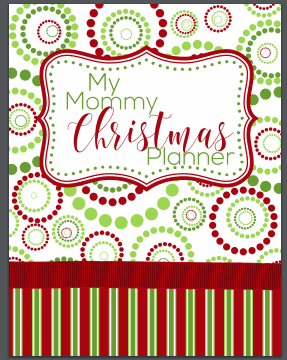 Try out the My Mommy Christmas Planner!